(Nanowerk News) The National Academy of Engineering has included a University of Wisconsin-Madison engineer among its 68 newest members. The NAE recognized Thomas Kuech, Milton J. and A. Maude Shoemaker Professor of Chemical and Biological Engineering at UW-Madison, for his contributions in developing and characterizing compound semiconductors. Election to the National Academy of Engineering is among the highest professional distinctions accorded to an engineer. Membership honors people who have made significant contributions to engineering through groundbreaking research and innovative educational approaches. In particular, Kuech and his students study methods for forming these nanoscale structures, which drive high-power devices such as those used for wireless and optical telecommunications. He has made fundamental contributions to the understanding of chemical vapor deposition, a method for developing semiconductors with controlled electronic and optical properties. In addition, he and his students are developing ways to increase the functionality of compound semiconductors for use in applications ranging from solar cells to biological sensors. 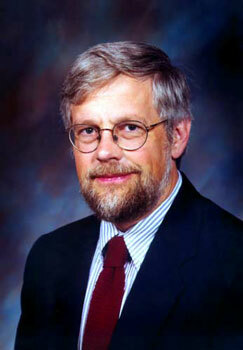 Kuech, who chaired the Department of Chemical and Biological Engineering at UW-Madison from 2003 to 2007, played a key role in securing National Science Foundation funding in 1996 to establish the UW-Madison Materials Research Science and Engineering Center (MRSEC) on Nanostructured Interfaces, which he directed for several years. To date, the interdisciplinary center has received more than $30 million in total NSF funding. It combines the expertise of more than 90 UW-Madison faculty, staff and students, who study how to form, characterize and use materials on the scale of individual atoms and molecules. Kuech came to UW-Madison in 1990. Previously, he worked nine years as a research staff member and research manager for IBM. He is a fellow of the American Physical Society. Kuech earned a bachelor’s degree in physics and master’s degree in materials science from Marquette University and master’s and PhD degrees in applied physics from the California Institute of Technology.